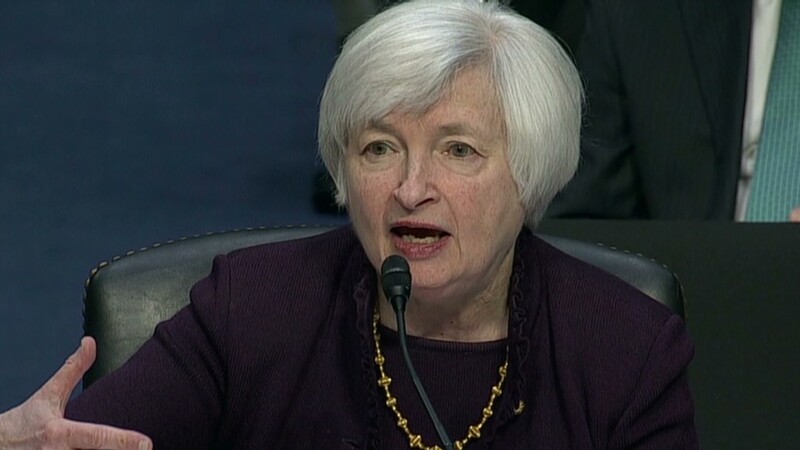 There are two economic trends that Federal Reserve chair Janet Yellen told Congress this week she finds "very disturbing." Unfortunately, the Fed has very little power to fix either of them. About 3.5 million Americans have been out of a job for at least six months. This group accounts for 35% of all the unemployed. "That's a very disturbing trend, and something that we would like to be able to do something about," Yellen said to the Senate Budget Committee Thursday. "We have seen a trend toward rising inequality in income and also in wealth. And I personally view this as a very disturbing trend that policymakers should be looking at and considering what is the appropriate response," she said. Through lowering interest rates and buying bonds, the Fed can try to stimulate the economy by making it cheaper for businesses and consumers to take out loans. Low interest rates can also boost the housing market by making mortgages cheaper, and fuel stock market gains by making equities a more attractive option than bonds with measly returns. The Fed's hope is that all this leads to job creation across a variety of industries. But the Fed cannot target specific geographic regions or industries that need the most help, or specific workers that may need to revamp their skills through job training programs. Monetary policy also can't offer help to the low-income, lesser educated part of the population, which suffers the most from long-term unemployment and inequality. This group is the least likely to own stocks or be capable of buying a home, so low interest rates don't help the poor as much as the middle class and wealthy. As Yellen put it: "I think what the Fed can do is to promote a stronger economy, a stronger job market, generally, and that will help." So who can solve these issues, and how? That job is up to President Obama and Congress, who can do more for the economy through spending on various federal programs. Yellen suggested education is the key, including more early education for kids, job training for adults and access to student loans to those who cannot afford college.